Judith Ann Weiher, known to her family as Mama Ju, passed away April 6th, at 1:47am with her family by her side. She was the first born to Charles and Louise McGrew of Warner, Oklahoma. She is survived by her three sisters, Jeannie McGrew of Roland, Oklahoma, Celia Thomas of Edmond, Oklahoma, and Hayley McGrew of Huntsville, AL; brother-in-law Joe Washum and Della Washum. This loving, caring and wonderful woman has left a permanent mark etched on our hearts and will be missed by her husband and best friend of 54 years, Roy Weiher; children Kerrielyn Scroggins and husband Jamie of Bentonville, Ar., Randy Weiher and wife Lydia of Jones, OK.; grandchildren Christopher Scroggins, Cody Scroggins, Dylan Weiher, Canon Weiher, and Mason Weiher; and sister-in-law, Della Washum and husband Joe. Judy will be sadly missed by her many nieces, nephews, cousins, and friends. Family was the center of Judy’s life as told by the incredible number of pictures she would take of her family. Her home and heart were always open, and she was family to everyone who knew her. Now her battle is over, the fight has been won, her struggle has come to an end. Our family finds comfort in knowing she is with our Lord and Savior forevermore. 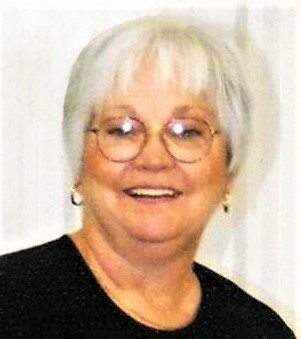 Viewing for Mama Ju will be 9:00am-8:00pm Wednesday, April 10, 2019 at Cornerstone Funeral Home. We will celebrate a life well lived 10:00am Thursday, April 11, 2019 at Warner First Baptist Church. She will be laid to rest in Warner Cemetery.